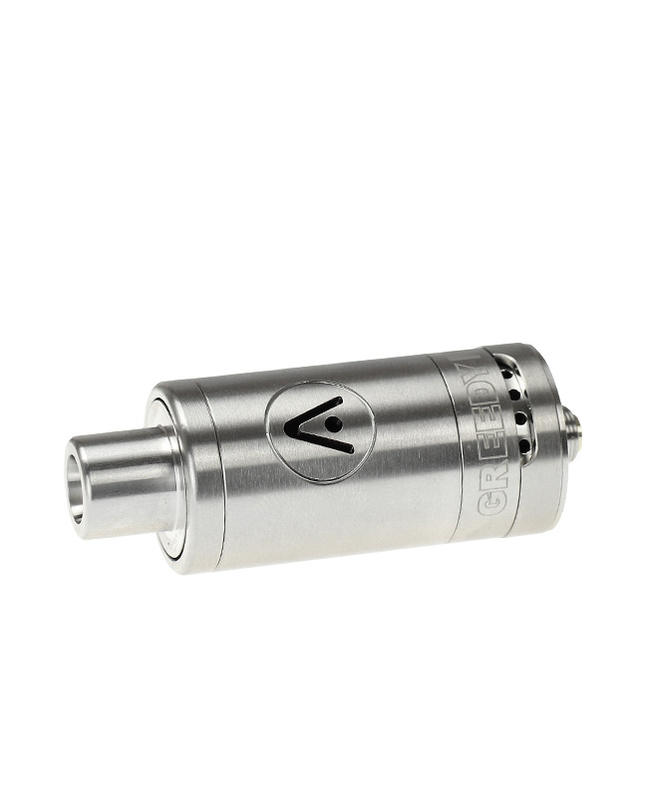 The Greedy M2 Attachment is a redesigned Greedy 510 heating attachment that is now engineered to support the entire Greedy & Studio Rig chamber series as well as many other AtmosRX attachments when using the Female to 510 Male Adapter from this brand. 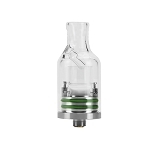 Having so many options makes the Greedy M2 quite versatile, whether you are looking to heat thick concentrates or dry blends there is a chamber to suit your needs. 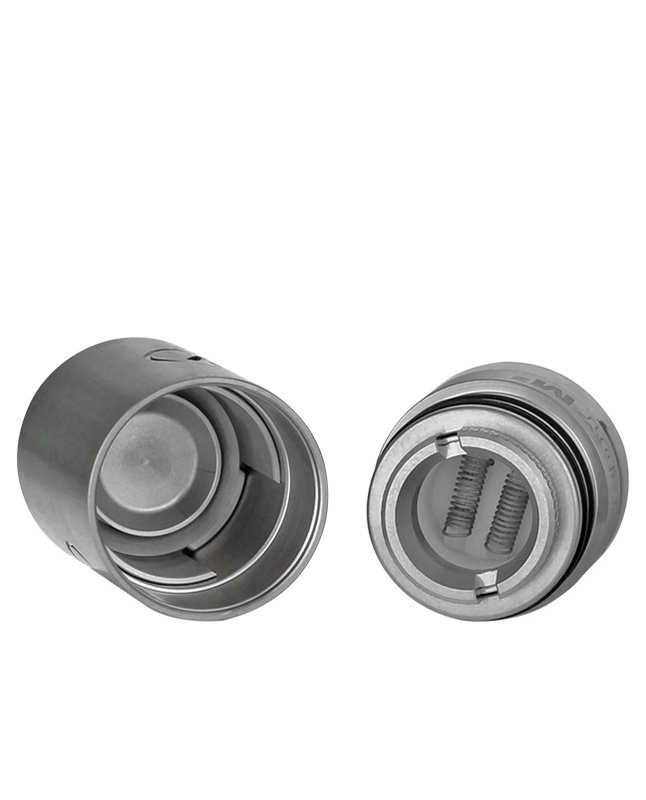 Each chamber installs easily in seconds, allowing you to go from enjoying one material type to another in no time whenever the time calls. 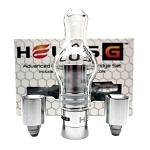 For thicker oils, you have several options including the entire Greedy heater head series for powerful performance on the go. 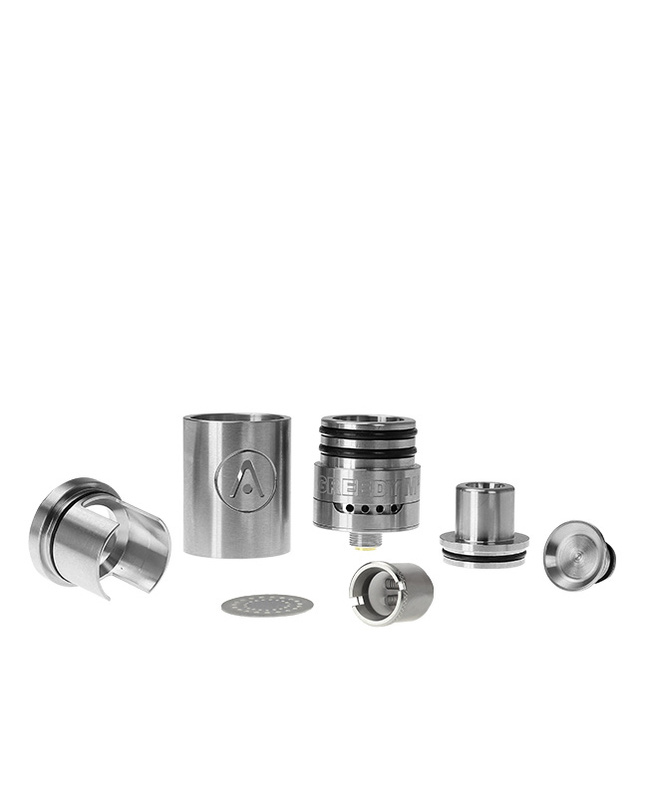 Inside this kit you will find the new AtmosRX Greedy dual titanium/quartz rod head ready to deliver amazing flavor right out of the box. The choices don't end there, swap it out for the Studio Rig ceramic or titanium nails for greater efficiency (sold separately). 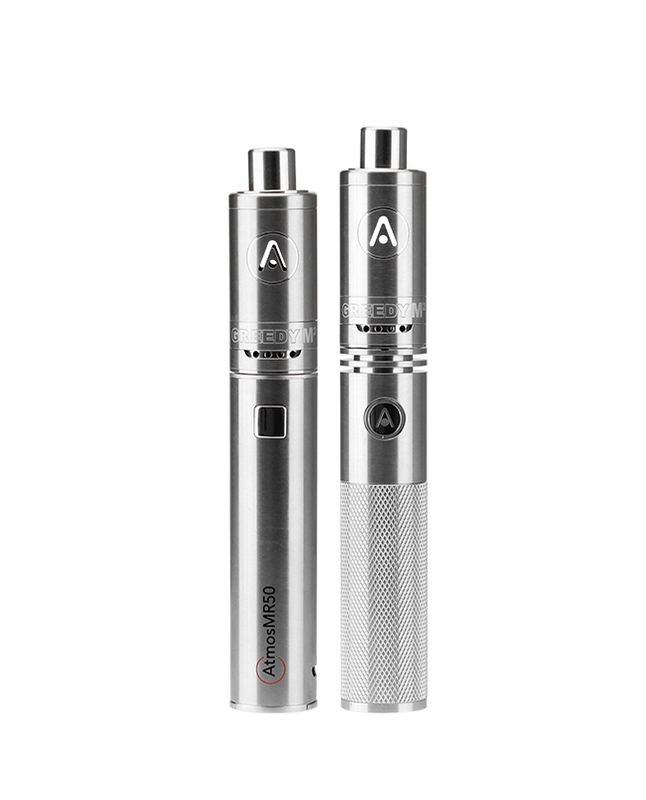 To heat dry material with optimal results combine this attachment with the Studio Rig embedded ceramic chamber and 100W battery from AtmosRX. The high grade ceramic chamber and automatic firing method with rival the performance of most portable devices on the market. 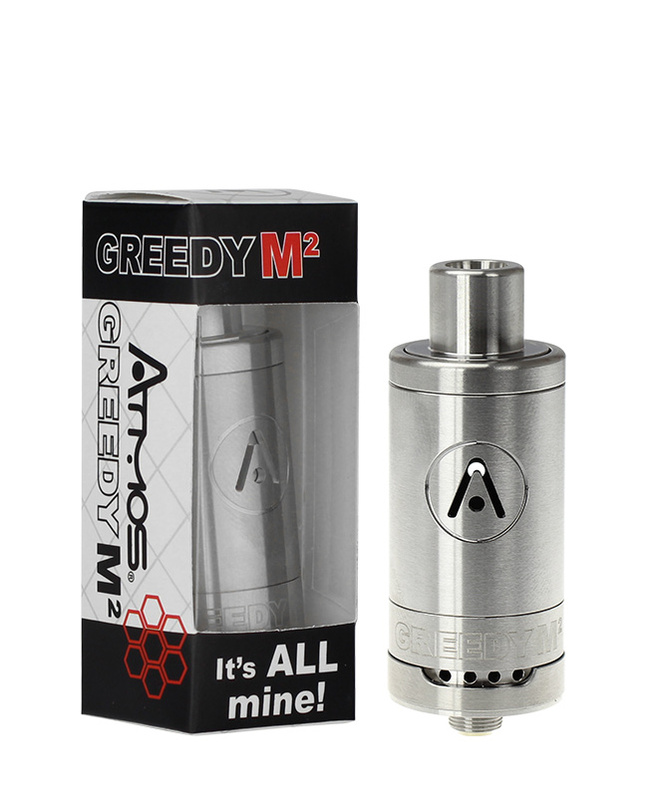 Atmos' Greedy M2 also features a splash/prevention easy-access mouthpiece design, dual adjustable airflow control system, it breaks down into three separate easy to clean parts and it sports an ultra durable stainless steel construction. 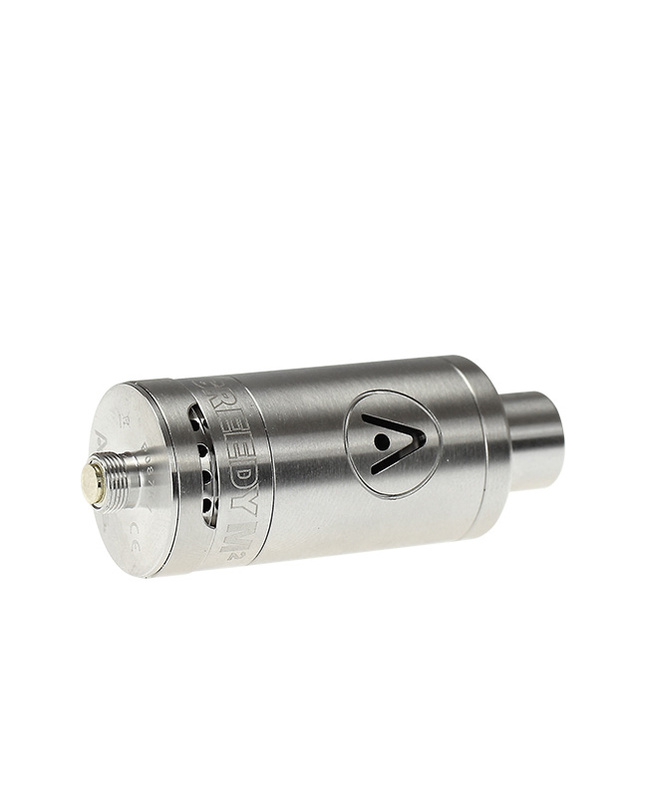 Pick up this versatile 510 attachment today and enjoy whatever type of material you prefer whenever, wherever, easily and efficiently!